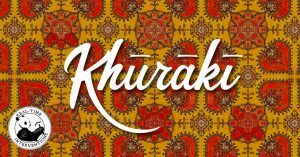 This March-May, RealTime will produce Khūrākī: a cultural, culinary celebration of Afghanistan in Pittsburgh, conceived and written by Molly with a group of Afghan refugee women who hope to start the first Afghan food business in the area. Rusty will direct this unique live arts event in four locations around the city, from Millvale to the Northside to East Liberty to Oakland. We want to give all of Pittsburgh a chance to discover the beauty of Afghanistan through these women’s stories– and their incredible food. 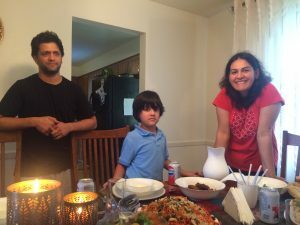 Haida, her family, and her incredible food. 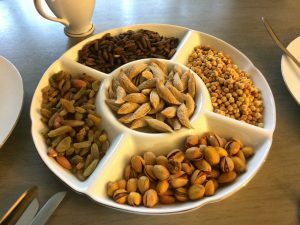 Khūrākī (meaning “meal” or “eat” in the Afghan language Dari) was developed as a commission from the Office of Public Art, where Molly’s been a Resident Artist since May of 2017. At that time, she and three other artists were tasked with creating a new work for and with the refugee community of Pittsburgh. The entire first year of the residency, Molly focused solely on learning about refugees and their experiences through partnering with Pittsburgh’s largest resettlement agency (now shuttered due to the recent slashing of the number of refugees allowed in the US). Rusty got involved as well, and we worked in a multitude of areas. Rusty became a Housing Specialist at the agency, as well as providing childcare, transportation, and fundraising. 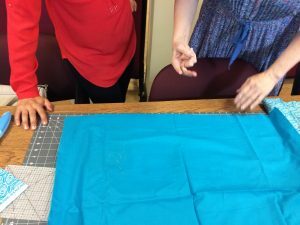 Molly conducted interviews and shadowed case workers in all aspects of refugee resettlement– attending airport pickups, setting up new homes for families, helping with cultural orientation training, visiting homes, and helping to establish a weekly sewing class for Afghan refugee women. 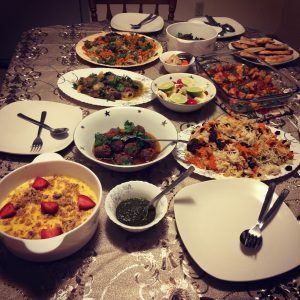 It was in this group that the women expressed the aspiration to own and operate an Afghan food business, in a “foodie” town that offers no cuisine from their country. With help from the OPA, Molly began to provide free workshops for the women on topics like food business ownership and commercial kitchen use, taught by partners like La Dorita, the immigrant-owned kitchen share in Sharpsburg. The series will celebrate the beauty of Afghan culture, music, and food through “theatrical portraits” of five strong women who will forever be Afghan, but have recently become Pittsburghers as well. We can’t wait to share our newest, most delicious RealTime Intervention with you. Please visit our home page for details and ticket info. Office of Public Art residencies are produced with support by the City of Pittsburgh, The Fine Foundation, The Buhl Foundation, The Pittsburgh Foundation, The Opportunity Fund, Pittsburgh Partners for the Arts, and the Our Town program of the National Endowment for the Arts, a federal agency. Additional funding support has been provided by a Community Development Block Grant and Pennsylvania Partners in the Arts. Design: Allie Reefer. Photo credits: Molly Rice.